Season both sides of the pork with salt. In a kettle, heat water and allow to boil. Lower heat and add pork. Let water simmer until pork becomes tender, about 1 hour. Remove pork from water and drain. Discard water. Preheat over to 250 degree F. Cut the prok skin into uniform rectangular pieces 1 by 4. Arrange the pieces on a baking tray. Dried pork skin will be reduced in size and will curl. Submerge the prok collected oil for two days. 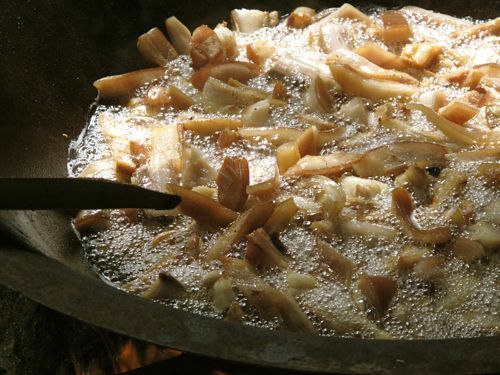 In a frying pan heat lard or oil and deep fry the pork skin over medium heat. 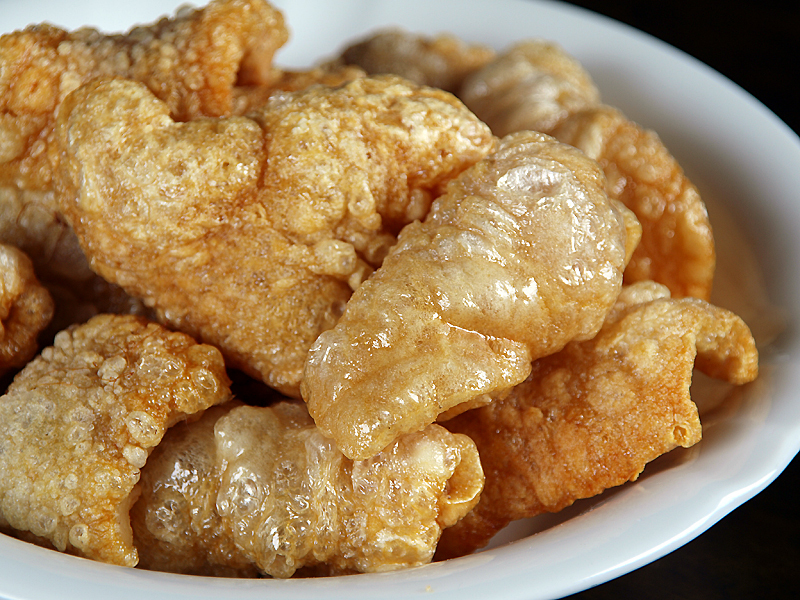 Sprinkle tap water on the pork pieces as these are frying to make them form blisters and become crisp. Note: some of the oil will splatter so pretect yourself by half covering the pan while you sprinkle the water.